GRAFENWOEHR, Germany — The launch of the annual Army Emergency Relief fundraising campaign is scheduled to get underway March 1 and will run through May 15. AER achieves a milestone in 2017 as it celebrates its 75th year of Soldiers helping Soldiers. This year’s theme is “A legacy of caring. 75 years of service and support to America’s Army”. Army Emergency Relief provides assistance to all Soldiers, spouses, families, retirees, widows and surviving spouses in times of need and deserves the support of all Soldiers, said Marianne Hoffman, the AER officer for U.S. Army Garrison Bavaria. Last year, Bavaria benefactors gave $48,000 in contributions with more than $474,000 given out in emergency financial assistance. To celebrate AER’s 75-year milestone, the goal is to top $75,000, Hoffman said. Contributing is easy. Soldiers can receive a contribution form (DA Form 4908) from their AER unit representative or donate online at www.aerhq.org. Payments can be made in allotments, or as simple cash or credit card donations. While the AER campaign seemingly rides the heels of the recent Combined Federal Campaign, the two are demonstrably different. “The difference between AER and CFC is that CFC donations can be used by the general public, while AER donations are specifically for Soldiers, retirees and eligible family members,” Hoffman said. Since its inception 1942, AER has assisted more than 3.7 million Soldiers and family members with over $1.7 billion, according to the most current AER annual report. In 2015 AER provided $71 million in assistance to more than 47,000 Soldiers and their Families, according to the AER website. 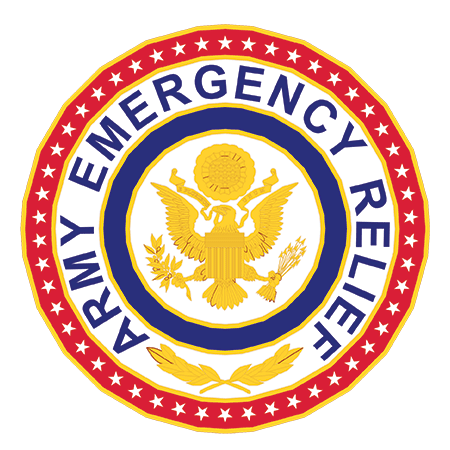 Army Emergency Relief helps with emergency financial needs for such items as food, rent, utilities, transportation, plane fare, vehicle repair, vehicle replacement, furniture and medical and funeral expenses without placing a cap on assistance. A new category allows assistance to be given toward minor home repairs. Additionally, AER provides college/educational scholarships to children, spouses and surviving spouses of Soldiers. 2016 saw a total of 85 scholarships awarded throughout USAG Bavaria for a total of $161,600 to 58 spouses and 27 children. For more, dial DSN 476-2650, CIV 09662-83-2650 or visit the USAG Bavaria AER office at the Army Community Service building on Rose Barracks, Bldg. 322, in Vilseck.